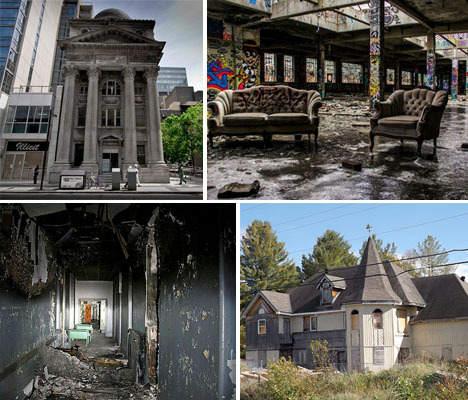 Canada’s abandoned wonders include greying neoclassical banks in downtown Toronto, forgotten asylums, beautiful Beaux Arts hydro power stations and a ghost town so eerily well-preserved it feels like it’s still 1980. A nation this large in terms of land mass, with wide swaths of nearly unpopulated countryside, is bound to be full of interesting architecture left behind by the steady march of progress, and the Great White North certainly doesn’t disappoint. 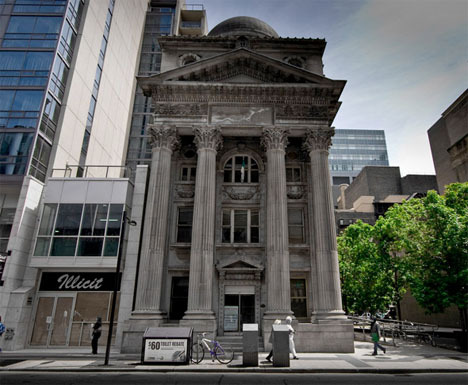 A historic landmark in downtown Toronto that has been sadly neglected, the bank at 205 Yonge Street boasts a beautiful neoclassical facade that has darkened to a gloomy gray over the past century. Built in 1905, the Bank of Toronto and adjacent Canadian Bank of Commerce seem starkly out of place in all their aged gothic dilapidation, surrounded by the glittering glass of more modern buildings. Both banks have been empty for some time. 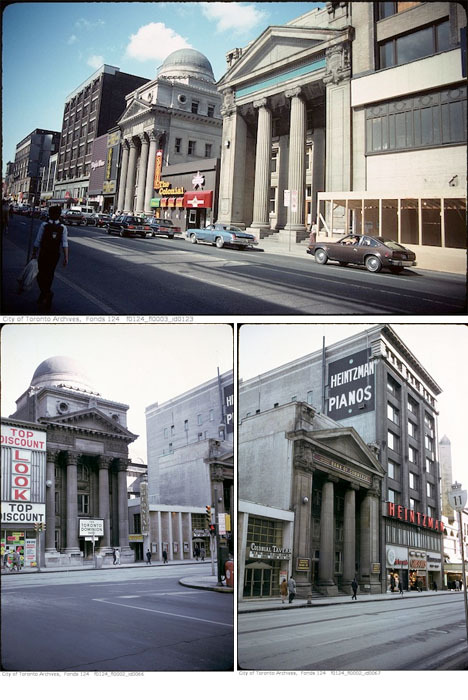 The Bank of Commerce has been vacant since 1986, while the Bank of Toronto was occupied by Heritage Toronto until roughly 2001. A jazz and blues venue called the Colonial Tavern once took up the space between them, but has since been demolished, the site turned to a mini-park. Developers recently purchased the property and supposedly intend to restore the Bank of Commerce as part of a hotel project, though the fate of its neighbor is still up in the air, and none of the plans are final. 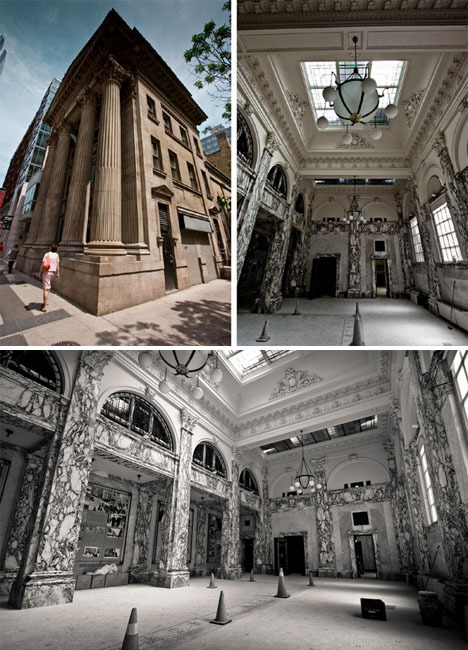 Blog Toronto’s Jonathan Castellino gained access to the interior of the Bank of Toronto in 2009. 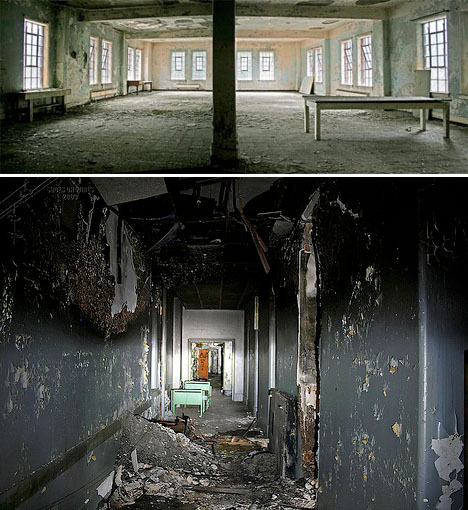 Chances are, you’ve seen this hospital before – many times. It has appeared in dozens of movies and television shows, including The X-Files, Battlestar Galactica, Psych, Caprica, Fringe, Halloween: Resurrection and even the Christmas movie Elf. 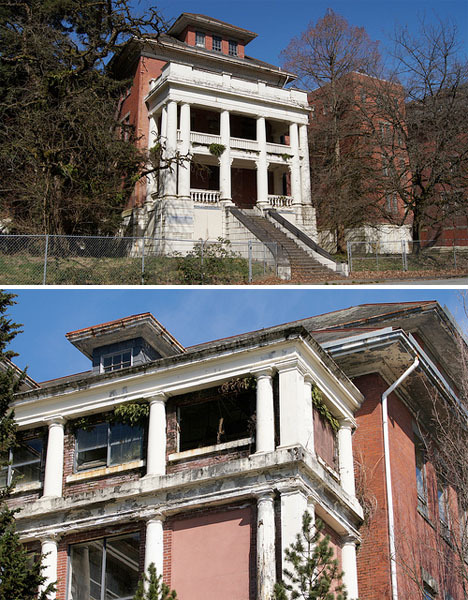 It didn’t close until 2012, but many of its historic buildings were already abandoned by that time, and its decline has been swift. When the hospital opened in 1913 as ‘The Hospital for the Mind,’ it housed just 350 patients, but that population grew to 4,500 by the 1950s. Like so many other large mental health facilities, Riverview lost patients rapidly during the ’60s and ’70s as the approach to simply put mentally ill people ‘away’ for life came to be seen as inhumane. 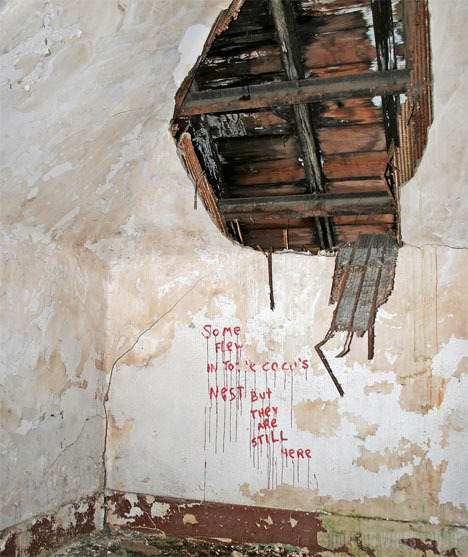 The interiors, as photographed by Shoes on Wires, are certainly horror-movie-creepy, with holes in the ceilings, furniture and fixtures strewn around, and moss growing all over the place. Have you ever seen such a beautiful power station in your life? 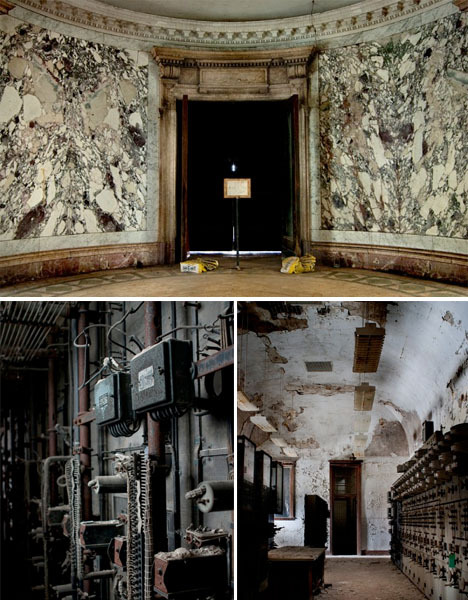 Built in 1903, this Beaux Arts hydro-electric power station was designed by Toronto architect E.J. Lennox to power the city of Toronto. It’s located on the banks of the Niagara River just upstream from Niagara Falls. 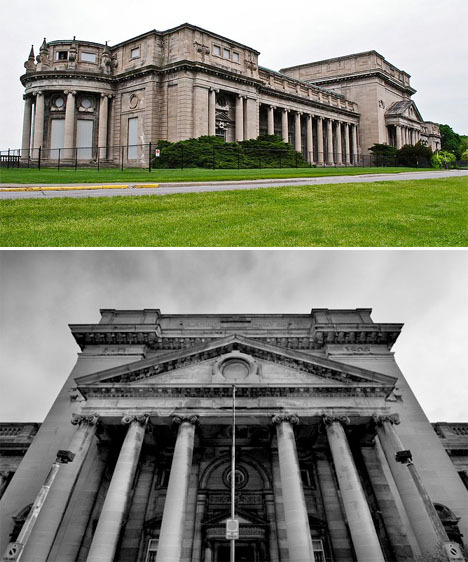 It closed in 1974 and was designated a national historic site in 1983. 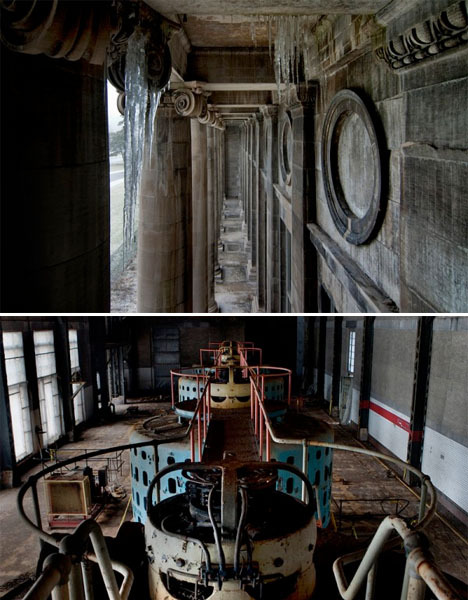 Despite still being filled with industrial equipment, the inside looks like a palace, the rusting remains of turbines contrasting with intricately scrolled marble trim. One of the last remaining sets of industrial silos in Toronto sits on the edge of the harbor, offering urban explorers who manage to gain access and ascend to its rooftops a stunning view of the skyline (including the city’s iconic CN Tower.) 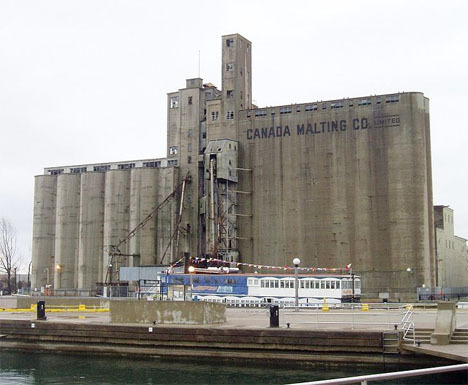 Built in 1928 to store malt for the Canada Malting Company, the complex includes stark modernist concrete towers housing 15 wooden silos. 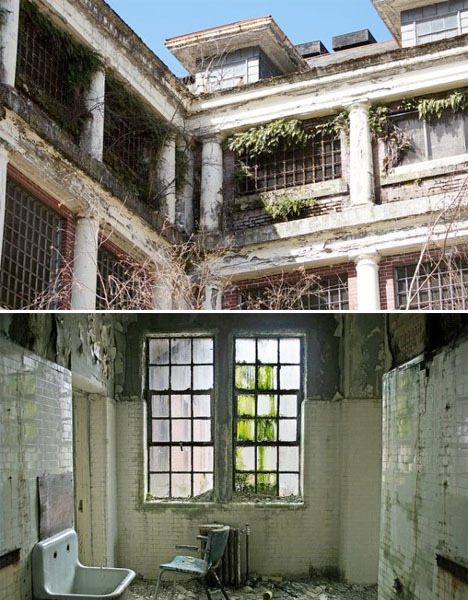 It was abandoned in 1980s but protected by the city due to its historic and architectural value, and officials have considered adapting it for all sorts of interesting new uses, from a museum to a theme park. Most of the secondary buildings have been demolished, but the silos still stand. 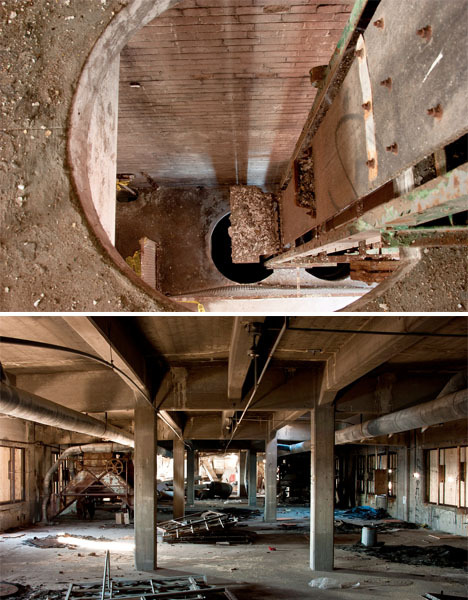 The site Abandoned EU took photos of the progression of demolition from 2007 to 2010.